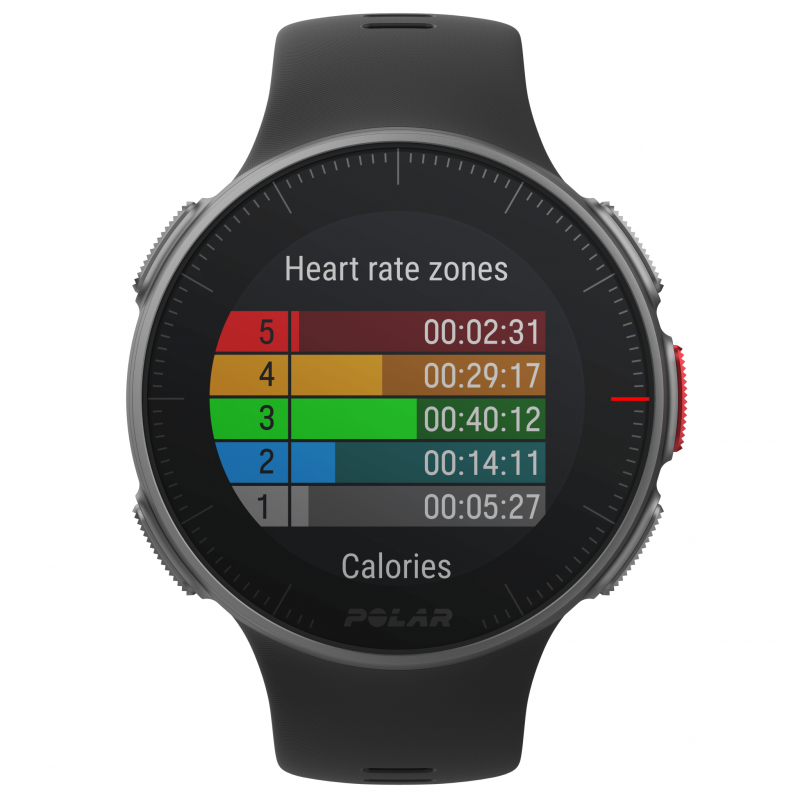 The Polar Vantage V Pro Multisport Watch is Polar’s most advanced performance watch – and arguably the most advanced performance watch ever made. To begin with, the Polar Vantage V is the first watch every produced to featuring running power from the wrist. 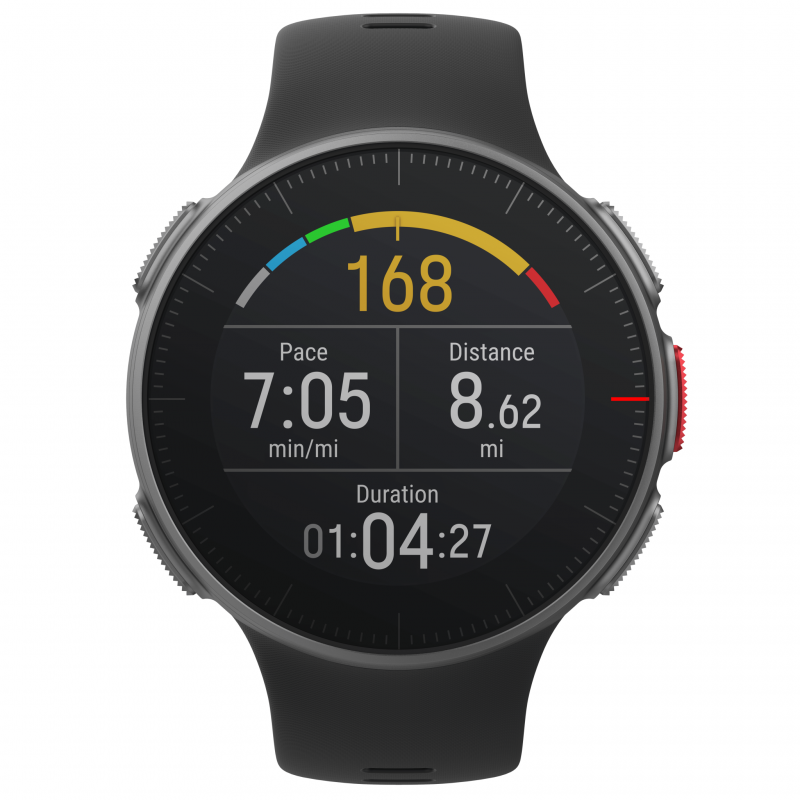 Using a proprietary algorithm along with your GPS and barometer data, the Vantage Polar watch not only calculates your running power, but also your muscle load – which is the load that your training session puts on your joints and muscular and skeletal systems. When you combine running power with heart rate monitoring, you can learn a great deal about your fitness and rate of improvement. The Vantage V also uses Polar’s next generation optical heart rate technology. This technology combines both optical heart rate measurement with skin contact measurement which ensures your heart rate gets tracked accurately, even in the most demanding conditions and during the most intense training sessions. You also get Polar’s scientifically validated smart coaching features such as Running Index, Training Benefit and Training Load Pro. 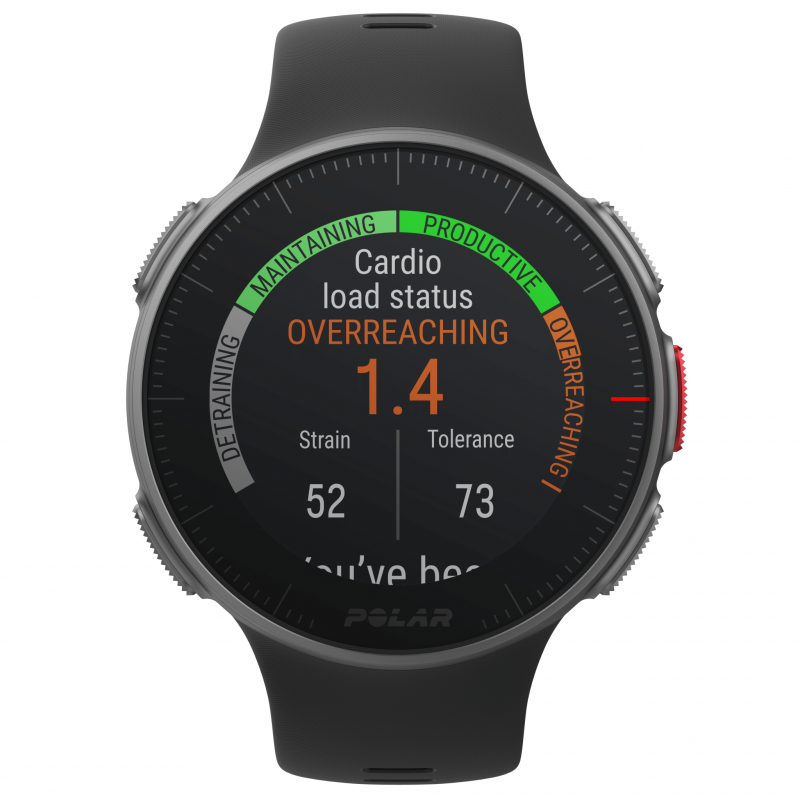 Whether tracking your swim, training indoors or out or monitoring your running efficiency, the Polar Vantage V Pro Multisport Watch will promise to take your training and fitness to the next level! Ultra-Long Battery Life – With up to 40 hours of training time with GPS active, the Polar Vantage V can stand up to your toughest training and grueling races. 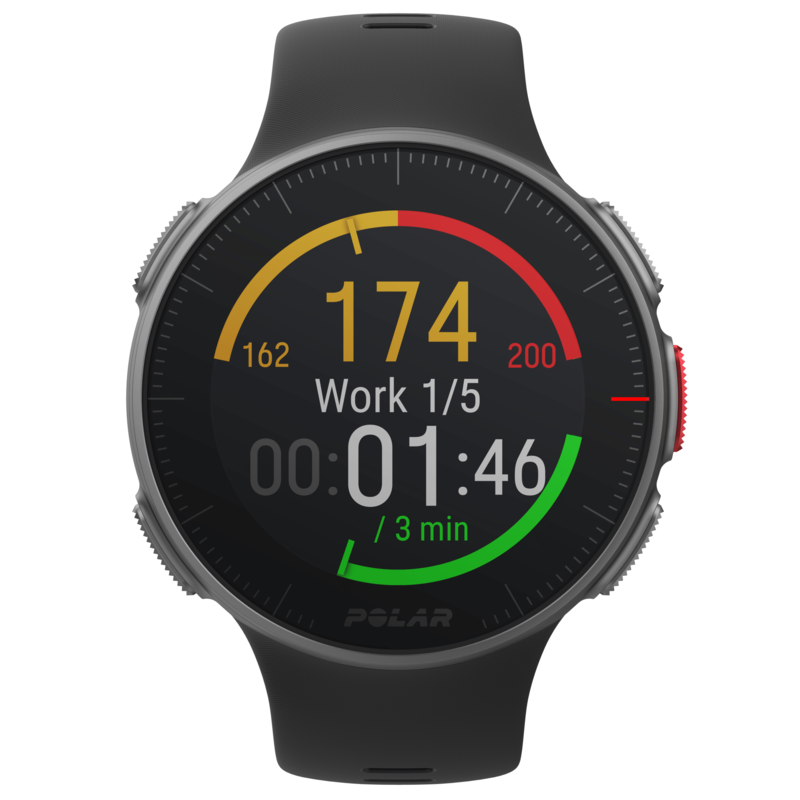 Polar Precision Prime Heart Rate – Polar redefines the gold standard in optical heart rate accuracy by combining the latest in bio-impedance electrodes and optical sensors. Running Power – Accelerate the effectiveness and precision of your training with Polar Running Power. Captures for the first time ever directly from the wrist, the Polar Vantage V can help fine-tune your effort and get results faster. Color Touch Screen – Clear, always on color touch display, 5 button interface when training. Training Load Pro – Separating cardio load, muscle load and perceived load, Polar’s Training Load Pro provides an unparalleled look into how your training affects your body. Recovery Pro – Taking into account factors outside of training that can influence recovery, Recovery Pro provides a holistic view of not only what you’ve done, but tells you what to do next. Hi Ruben. Glad you are enjoying your new Polar Vantage V. Good luck with your training! A great quality and aesthetics product, it still have some bugs with the software but for sure Polar will fix them on the upcoming firmware updates. Vantage V have a great GPS, battery life and wrist heart rate measurement accuracy. Hi Roberto. Thanks for the review on your Polar Vantage V. I believe some firmware updates have already been released. Enjoy your new V!